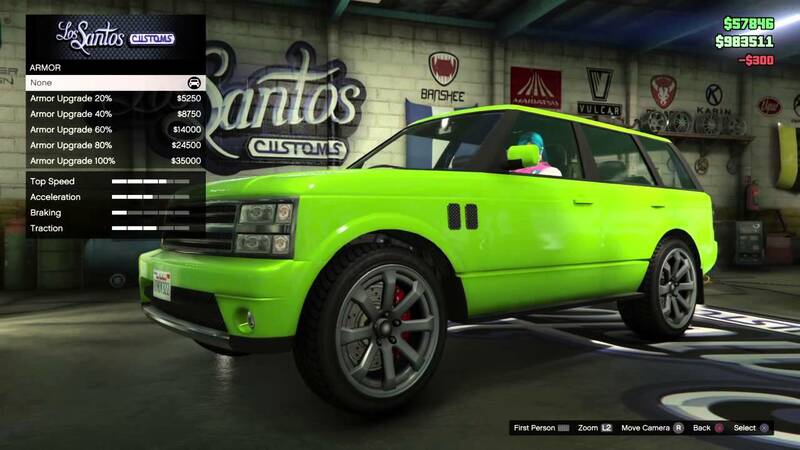 Home » Featured » GTA V: Oh,That’s Where Rockstar Got The Idea To Put Lime Green SUV’s In Missions? I was wondering why in Grand Theft Auto V Rockstar all of a sudden decided to stick lime green SUV’s in missions driven by the baddies, now I think I know why. For sometime while playing GTA V it was Lime Green SUV’s pulling up all over on various multiplayer missions I would play, clearly sticking out, one, obviously because of its color but two also noticeable because it was not there before. But I didn’t see the correlation or the purpose for such a change until I saw ‘Ride Along 2’ starring Ice Cube and Kevin Hart. While minding my business watching the flick in one of the very opening sequences, in a drug bust gone wrong you see a lime green SUV ironically being driven by the bad guy, my mind immediately went to those GTA V online missions, coincidental? Not so much. So you ask what does Ride Along 2 Lime Green SUV sequence have to with the recent GTA V Lime Green SUV’s suddenly popping up? Well if you saw the movie there is a clear ode to the GTA franchise and not just in one sequence, multiple sequences. And not just a quick fly-by scene either I would go as far as to say it played a huge role in the movie dare I say built around it. Such as Kevin Hart being a gamer and playing something very similar to a GTA-ish type game on his down time. To take it further there is a climatic chase sequence where the whole scene is transformed into a GTA-ish hud, Kevin Hart in the driver’s seat takes the skills he learned in that game and successfully wheels himself and Cube out of bad situation. So it’s not so far-fetched now huh? I wouldn’t put it pass that the Rockstar staff could easily have seen the movie or at least got wind of the obvious ode and decided to return the favor. No? To further strengthen the coincidence there’s various videos (see one of them below) of Ice Cube and Kevin Hart actually playing GTA V while they were on tour promoting the movie. What do you gamers think? Am I reading too much in to this “coincidence” or is the evidence too strong?